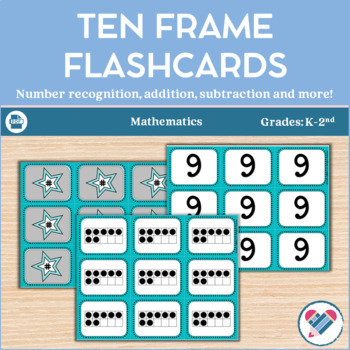 These ten frame flashcards are great to build number sense with your students. 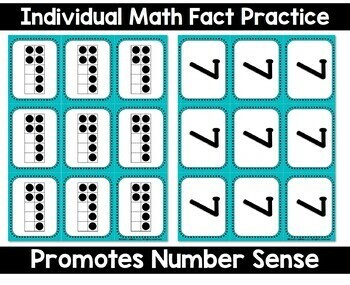 They help you practice number sense, decomposing numbers, making 10, and more! 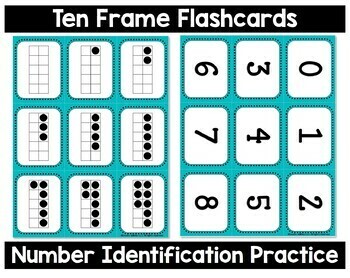 Students can use these flashcards to help them recognize and identify different numbers. Students can also use the ten frames to visually see how to make tens (i.e. take one of the five frames and turn it around so students can see visually that five and five make ten and that the five dots in one frame can fill up the empty spots in the other). Students play in groups of 2-4. The stack of flashcards is split evenly between the players. The first player to say the sum of the numbers on the cards wins. This is also great when trying to add three addends. Students are given a target number (for example 10). The students flip over two cards trying to find two cards that make ten. 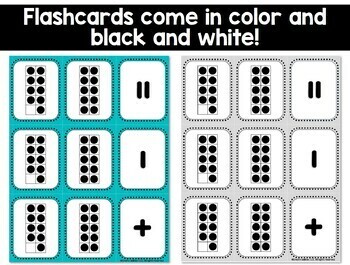 This can be used with only the ten frame cards or with a combination of ten frame and digit cards. Each round is given a different target number.